April 1st - 13th. IN-STORE ONLY. It’s the perfect time to get a mattress. All our in-stock mattresses are on SALE! Firm to Soft. Nice to Super Premium. We have mattress to fit every home & budget. 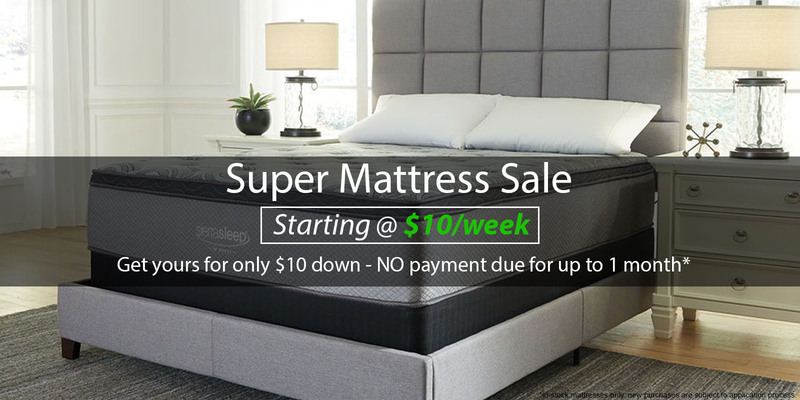 Get your mattress for only $10 down & as low as just $10/week with NO payment due for up to 1 month! No credit needed. Do you have a question? - OR what item are you looking for? Mattresses shown online do not reflect the amazing in-store sale. Please contact our store for the best selection. Thank you.